I have seen that some have written asking about Ayotzinapa these days. I share the outrage, sadness and anger at what is happening in our country! I think it’s better to unite to defeat the enemy instead of attacking those who have faith in our country and want change. For those who want to divide us, I tell them: I was not televised because the Grammys separate non-commercial categories and only broadcast them online. 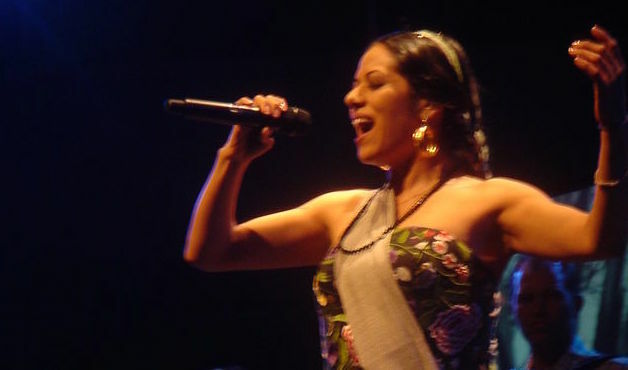 This time Raíz did not participate in the Latin Grammys because Nina Pastori and Soledad were not granted visas. So we had no musical performance in the televised gala since the U.S. musicians’ union does not allow it. At this link which was shown on the Grammy Latino site, you can see I dedicated the win to justice in my Mexico. It outrages me; it angers me. They took them alive and we want them alive. That’s how I’ve announced it at our concerts, like I did in a statement days before that. The 43 students are not listed, and although some have taken that as a symbol, I have seen that there are many more, from the 90s I have not seen justice for many disappeared women at the border and elsewhere in the country, that this chilling case is the straw that broke the camel’s back, that we seek justice in a system that has not worked in a long time, and that we know it, but until now many more are expressing it! In my experience, I have seen that different opinions divide us and we lose strength. Let’s not lose sight of who we are, comrades, and what are our concerns. Instead of criticizing, let’s put forth ideas of how we can change. How we are going to change the justice system so that it works and how we can choose leaders who do not become corrupt at the national, state and municipal levels. Since I started writing songs, I did it with the concern of telling the stories of my reality, also of the things that happen in my country, and some songs like black dog and others, accompanied me, and gave me strength. In those times, many did not know me, but that did not discourage me. Although very occasionally I have been supported by radio and television (for reasons you well know), despite that we keep trying and struggling to fight for culture and identity because we believe that gives us strength as an individual, as a community and as a nation. We walked (in our musical family) with the support of all of you who believe in the pursuit of truth, expression of identity and the power of art!